Our private wealth team have the know-how. Let’s combine your needs with our experience. Get in touch, we want to know-you. The private wealth world has changed. Increasing globalisation has led to increasing complexity but you and your family still want the same simple thing – peace of mind. You want to feel confident that your assets, both personal and business, are protected, safeguarding your investments now and for the next generation of your family. Moreover, you want to know that the structure being used is fully compliant. Providing that reassurance requires scale and depth of knowledge. Our experienced professionals have that expertise and the motivation to deliver the highest standards of corporate governance. And they have the skills and tools to support you and your advisers in implementing your private wealth strategy. Service range and an extensive skillset are essential, but personal service has never been more important. We know that personal connection is vital. That’s why we invest so much in our people’s personal, and professional, development. You, and your family, are in safe hands. You could be a family patriarch or matriarch, a senior member of a multi-generational family, a serial entrepreneur, an owner of a multinational family business, an investor in private capital – or any number of these. We understand that your requirements are as individual and varied as your interests. So we take the time to listen to you and your advisers and shape our services around your needs and those of your family. 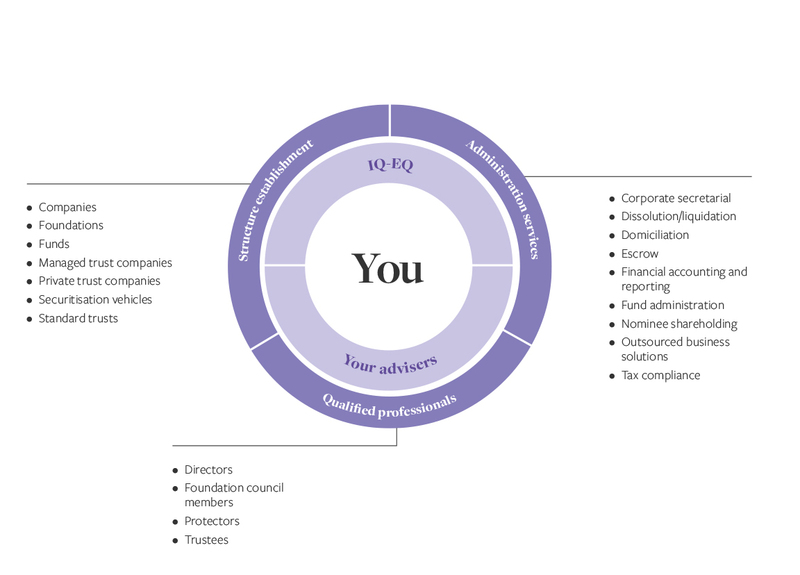 We provide those services at every stage of your wealth planning and management strategy, including corporate and private fund administration and support. When you establish an entity, it needs to meet your requirements. You need to feel confident that it’s the right type of entity, in the right jurisdiction. You want the peace of mind that comes with engaging qualified professionals for your structures. Managing the day-to-day administration of your investments and business interests can be challenging. Our experienced and qualified teams are here to help. Diversifying your risk can mean diversifying your assets. Whatever motivates your investment choices, we use our experience for your benefit. Protecting your assets is fundamental to managing your wealth. Whatever your family business – retail, technology, commercial real estate – you want it to grow and prosper. As an independent provider with a global network of offices, we are ideally placed to provide your family office with that support. As a sophisticated investor, you’re looking for investment flexibility. Sharing your wealth outside of your family leaves a lasting legacy when managed effectively. We work with you and your advisers to ensure that the transfer is not only effective and efficient but also the best fit for your successors and the future needs of their families. We've been associated with IQ-EQ since 2008 which is a testament in itself. They have been professional and dedicated in their role. We have been client of IQ-EQ for 12 years now which by itself is a testament. We are indebted to IQ-EQ for being on their toes, prompt service, problem solving and supporting/resolving investor queries. The team from top to bottom have been great asset for us.